 Pink street welcome to the market this three bedroom middle terrace house. The property benefits from having FOUR reception rooms, a downstairs shower room, upstairs bathroom, a good size kitchen and an enclosed rear garden. The property is offered with no forward chain and a viewing is highly recommended. CALL PINK STREET ON 02392 864 555! ENTRANCE HALL Smooth and coved ceiling, stairs to first floor landing, under-stairs cupboard, radiator, doors into reception rooms. LOUNGE 15' 88" into bay x 12' 61" (6.81m x 5.21m) Smooth and coved ceiling, double glazed bay window to the front aspect, wood laminate flooring, feature fire place with surround, radiator. KITCHEN/BREAKFAST ROOM 13' 11" x 11' 65" (4.24m x 5m) Textured ceiling, two skylights, wood laminate flooring,double glazed window to the rear aspect, a range of wall and base units with work top space, built in oven with a four ring gas hob and extractor hood over, breakfast bar,one and a half stainless steel sink and drainer unit, space for a fridge freezer, washing machine and tumble dryer. Door into the fourth reception room. SHOWER ROOM Textured ceiling, skylight,obscure double glazed window to the rear, shower cubicle, low level w/c,pedestal wash hand basin, radiator. BEDROOM ONE 12' 88" x 11' 67" into chimney(5.89m x 5.05m) Smooth and coved ceiling, double glazed window to the front aspect, built in wardrobes, radiator. BEDROOM TWO 13' 14" x 8' 54" (4.32m x 3.81m) Smooth ceiling, double glazed window to the rear, built in wardrobes, cupboard housing boiler. BEDROOM THREE 10' 10" x 8' 91" (3.3m x 4.75m) Textured ceiling, double glazed window to the rear, radiator. BATHROOM 7' 52" x 5' 90" (3.45m x 3.81m) Smooth and coved ceiling, obscure double glazed window to the front, bath, pedestal wash hand basin, low level w/c, wood laminate flooring, radiator. REAR GARDEN Mainly laid to lawn, patio area, wood shed to the rear.